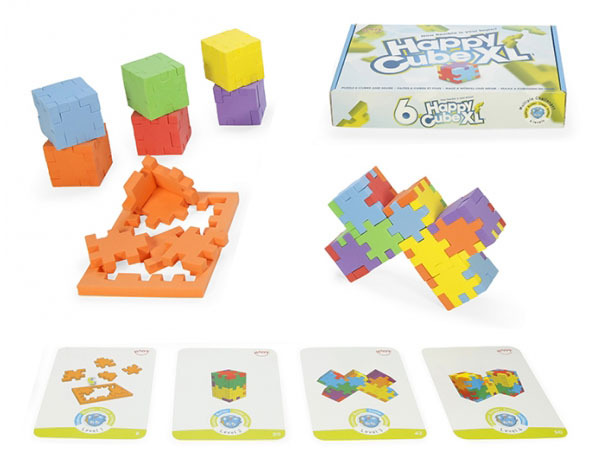 Happy Cube XL is a game set of 6 extra large Happy Cubes. When built the cubes are 5 cm x 5 cm. The box includes a cards with 60 challenges in 4 levels with increasingly difficulty. Get creative and astound friends and family with your impressive creations! The box is made of sustainable carton and enables storage of the puzzles after playing. Play value: stimulates spatial thinking, starting from 5 year old. Play time: countless hours. Play alone or with multiple players. This product was added to our catalog on 14.11.2012.